Video Grabber is a free web-based tool which can help you crop video easily and quickly. You can use this program without installing any program. Users just need to make sure that their devices are connected to the Internet and have a web browser available. Aside from that, this tool allows you to grab videos online, convert video and record computer's screen. Also, it supports numerous video and audio formats and it has advanced video editing functions including trimming, watermark, effects, adjusting volume and so on and so forth. Follow the steps given below to crop video without watermark using this program. Go to the browser and open Video Grabber on your computer. Next, hit "Convert Video" and "Select files to Convert" and choose the file you wish to crop on your computer. After that, click the pencil-like "Edit" button. Then, click the "Crop" icon on the toolbar, set the location and size for cropping your video, then click "OK". Lastly, hit the "Convert" button to start saving your video. 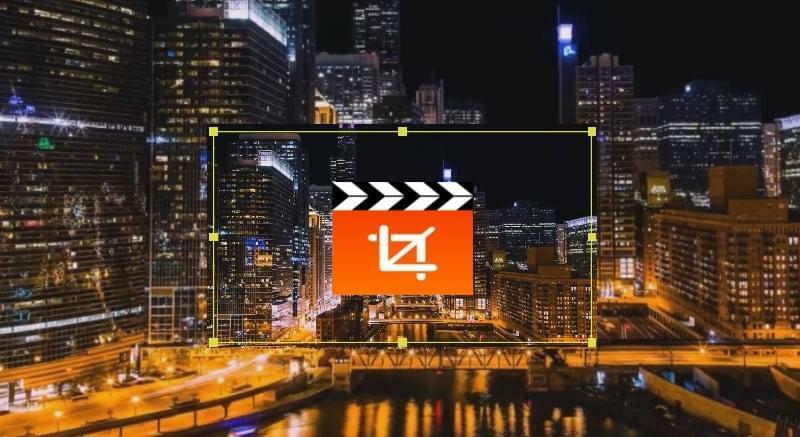 Another online program that can crop videos is the Ezgif.com. It lets you crop different video files such as MP4, AVI, MPEG, FLV, MOV, 3GP and so on and so forth. Moreover, users can make GIF, convert GIF, rotate, resize, reverse, cut, and adjust video speed and do a lot more. However, it allows you to upload video up to 100MB file size only. Here are the steps to use this program. Open your computer's browser and visit Ezgif.com. Next, click "Video to GIF", then "Crop Video" and choose a file from your computer or paste a video URL into the box. After that, hit "Upload video!" 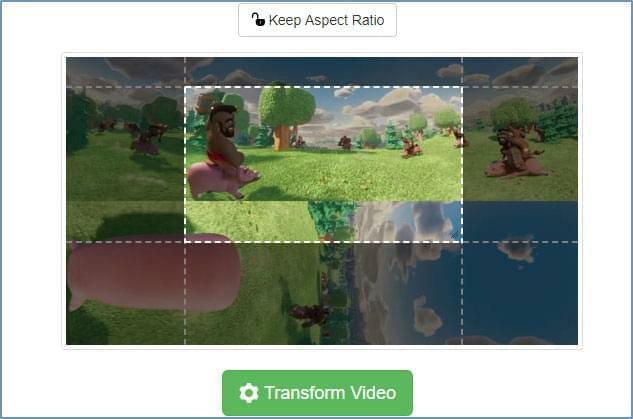 Set the video width, height, and aspect ratio of the video, then hit "Crop video!" and wait until the process is done. Lastly, hit the "Save" button to save the file on your computer. An alternative tool to crop video is Video Crop. As the program's name implies, the main function of it is to crop video instantly. It lets you upload video from your computer, Google Drive, Dropbox and OneDrive. Furthermore, it has a clean and simple interface with the drag-and-drop feature so users can easily transform their video. Also, this program supports other languages like English, Polish and Spanish. 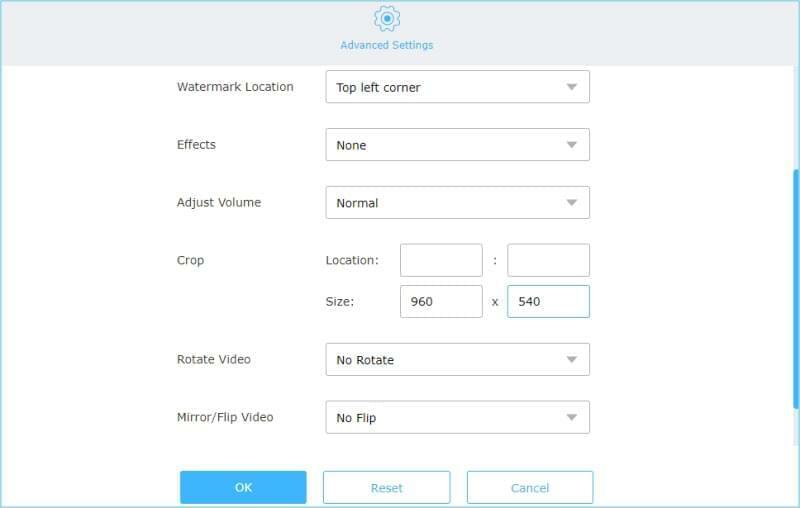 See the detailed guide below on how to crop video with no watermark by using this program. Go to the official site of the program using your favorite browser on your PC. Drop a video file into the box or upload it from your computer or Google Drive, Dropbox and OneDrive account. Afterwards, adjust the grid lines on the video and hit "Transform Video." Once done, download the file. If you want to try a more effective tool that can help you crop videos, then try BeeCut. 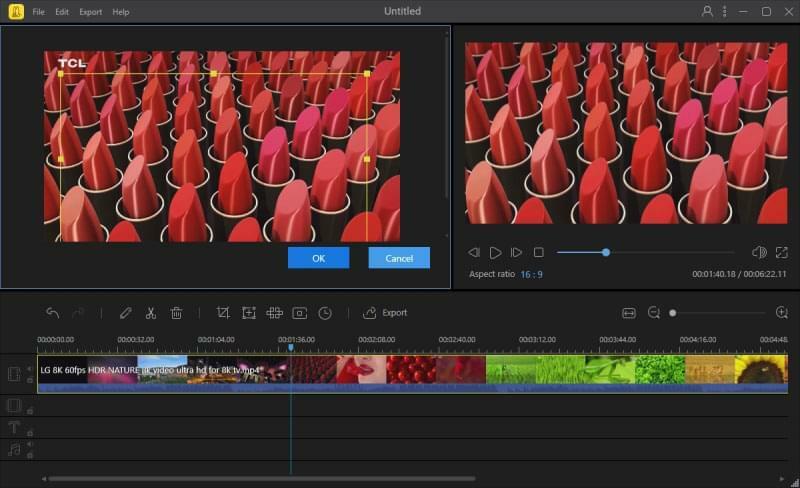 This is video editing software which has unique video editing functions for cropping videos and other features. 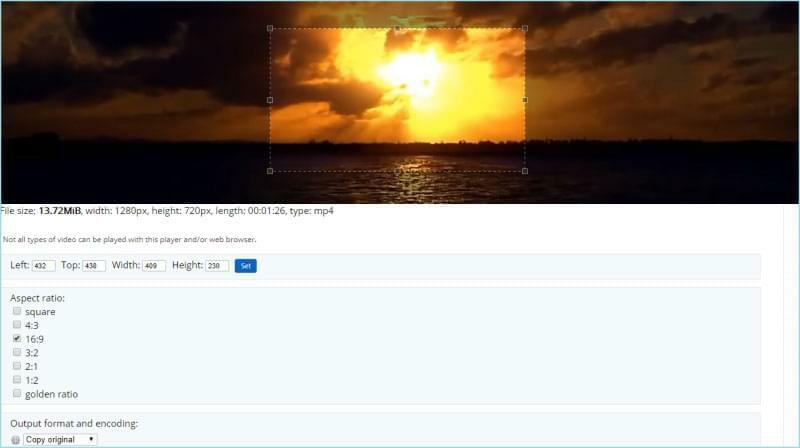 It enables users to add filters, texts, overlays, transitions and elements to video. Apart from that, it lets you cut, split, merge, add mosaic, rotate, adjust video speed, saturation, contrast and many more. In addition, this software is compatible with Windows PC and Mac OS systems. To fully understand how this program operates, learn the step-by-step procedure. First, download the program from its official page and install it on your PC. After installation, run the tool and choose the aspect ratio you want. Next, add a file from your computer by clicking "Import" then "Import file". Once the file is added, drag and drop it onto the timeline. Click the "Crop" icon and adjust the area that you wish to crop, then click "OK". Lastly, click the "Export" button to export the video to your computer. These are the most recommended programs that can help you crop video free with no watermark. Video Grabber, EZgif.com and Video Crop can be used even without installing any program on your computer. On the other hand, if your device doesn't have a stable Internet connection and you want to crop a video smoothly, BeeCut would be the best choice. Meanwhile, this software has almost all the video editing functions you need.